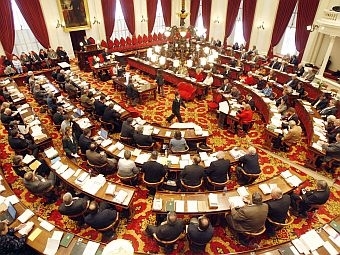 Lawmakers are headed toward a weekend adjournment. But that’s only if they can settle their differences on the budget, the tax bill and several other key pieces of legislation. Kristin Carlson of WCAX, Vermont Press Bureau chief Peter Hirshfeld and VPR’s John Dillon look at the issues and the news makers from this Legislative session. And they discuss the bills that still need to be resolved before adjournment can take place.